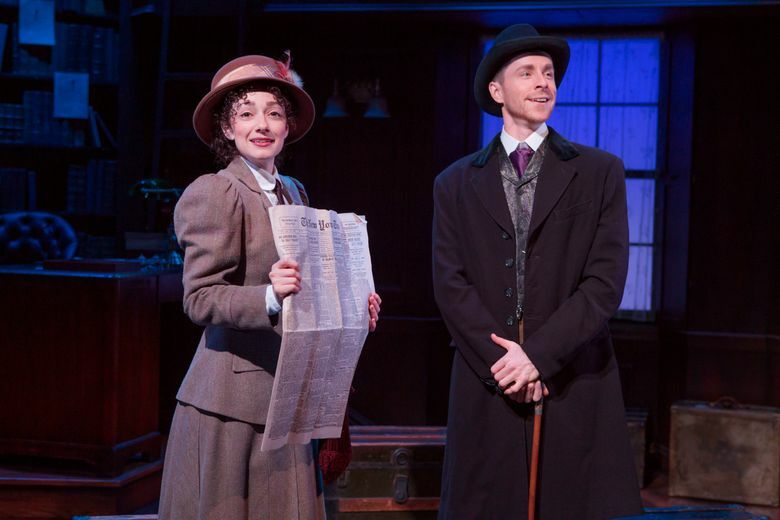 NEW YORK (AP) — The groundbreaking live broadcast of the off-Broadway musical “Daddy Long Legs” got quite some attention. It was watched by more than 150,000 people in 135 countries, according to figures compiled by the show. Producer Ken Davenport, who arranged for the first ever free online stream of any Broadway or off-Broadway show, said Tuesday the data exceeded his expectations. He saw ticket sales increase in its wake and the show trend nationally on Twitter. Many in the theater community were watching to see what results came of the experiment. Would people turn off “The Big Bang Theory,” ”The Mentalist” and “Bones” in favor of a new musical? Several sites, including the new BroadwayHD, make their business model offering stage shows on computers and phones. Davenport’s data shows there is a thirst for such services. Some 150,055 people watched the livestreams on Dec. 10, which is equivalent to 10.4 weeks of sold-out performances of “Wicked.” The average age of viewers was 46.6 years old and 68 percent were women. Forty percent of viewers knew nothing about the musical before the livestream but tuned in anyway. According to the feedback, almost 62 percent watched from a desktop and a quarter from a mobile device. “Daddy Long Legs,” about a romance that spans several years, features music and lyrics by Paul Gordon and a book by John Caird, who also directs. It stars actor Adam Halpin and his wife, Megan McGinnis. The show was captured at the 150-seat theater with two cameras and a GoPro. After the show debuted in New York, the performance was replayed for the West Coast, in the United Kingdom and Japan. The majority of viewers — 78.4 percent — were in the U.S., but the show was also watched in places like Japan, Canada, the United Kingdom, Ukraine, Fiji and Syria. The largest percentage of views came from within driving distance to the Davenport Theatre, where the show is playing.